So this month has been full of new books coming out that I'm so excited about. Harry Potter & the Cursed Child as one example... which I haven't read yet. I had to get it on the opening day, just for the same reason as movies I want to support, you HAVE to go on the opening weekend for it to get the box office push... I like supporting books like that too. Get them on the Top Sellers list right away. I haven't jumped into reading it yet because I'm going to savor it. I dont want the world of Harry Potter to end so quickly ... again. I mean, we had to say goodbye 10 years ago & we got this little nugget of magic - I dont want to let it go too fast. & I'm super giddy about Lysa TerKurst's new book as well. Lots of good reading ahead. anyways - I've included the pages with each book I read this month. This is like the movie 50 First Dates with Drew Barrymore - except NOT funny at all & super dark. The story has the main character forgetting her memories every night she goes to sleep. She's started keeping a journal at the request of a therapist that she's seeing - but no one knows she's seeing him. She can read the journal every morning & get caught up in her life. ... & soon she's piecing her life together & finding out about how & why she lost her memory. It's a nail biter & a good mystery. I was totally hooked. I couldn't wait to learn more about Christine's life as she was learning it as well. I may have held my breath during certain parts of the book. It was a good sort of intense that held my attention. ... I GOTTA GET ON THAT & watch it! I want to see the difference between the book & the movie. After reading Since You've Been Gone (on my last month's list) & how cute that story was with the character doing a list, I stumbled across this one on my book shelf (I dont even remember buying this book - it must have been on there for awhile) & its another story of a girl wanting to complete a list... except this one is about her doing what she can on the list before she dies.... not so cute. Not so fun. I thought this book had a lot of potential but I was so disappointed in it. First, the character got on my nerves, which is HORRIBLE to say about a young character that is dying. But she's just written as such a spoiled brat at parts & as someone who has no respect for anyone else in their family. I know that sounds awful but when I read others reviews of the same thing, it made me not feel so badly. The only reason I gave this book 2 stars because towards the end, it did break my heart - it hooked me in. As she's loosing her battle with cancer, I just kept thinking of my friend who passed away & I wondered if this was what she went through. I also liked the character that Tessa fell in love with - Adam. His love for her is what kept me reading this book. It's what made me not close it up half way through & toss it aside. In the end, this held my attention, but its not something I'd recommend. This was described as a mixture of Friday Night Lights meets The Time Traveler's Wife & I thought that's a really good vague description of the book. A story of two people that can sort of pass through time to get to each other & a mysterious woman called "Grandmother" who visits Natalie as a child & gives her a cryptic warning to "save him"
I really did enjoy the story & was craving the ending so badly for an explanation - but the explanation left me so confused. I'm just not good with Sci-Fi stuff. it's why I didn't like The Martian either. But I still got the GIST of the story & didn't end up hating it. It totally held my attention & I really fell in love with Natalie & Beau together - so there's that. & a total thumbs up for a book taking place in Kentucky & mention of the University of Kentucky as the college everyone was heading to when school was over. A good middle of the ground safe rating from me. If you like sci-fi with a little dash of a love story, you may really be into this... if it confuses you like it does me, read at your own risk. What book MUST I READ that you've read lately? I loved Before I Go to Sleep. I distinctly remember staying up late to finish that on s work night! that first book -- sort of reminds of the movie Memento where he had to write little memos to himself (actually, tattooed himself) to remind him of what was going on. will definitely put that on hold at the library. I have been in SUCH the reading slump this year! I just can't seem to get interested in anything! Looks like you've read some good ones! I am so going to have to get my hands on Before I Go to Sleep! As for what's on my to-read-list....I'll have to do a post on that today. Oohhh Before I Go to Sleep sounds great! Think that one is going on the TBR. Aww, you mixed things up this week. I thought you would have done you race recap. On "training tuesday" instead of yesterday! 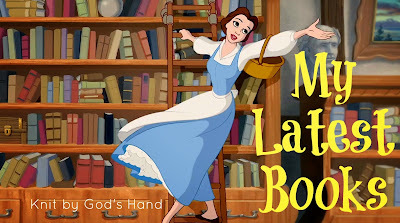 But today we get books! It's all good. I have not read any of those but just this morning I completed my second book of the summer. (I know I only read 2 but that's 2 more than last year..lol). It was "Secret Lives of Fortunate Wives". It was about an elite neighborhood outside of cleveland Ohio. I guess it was alright! Oh, PS. 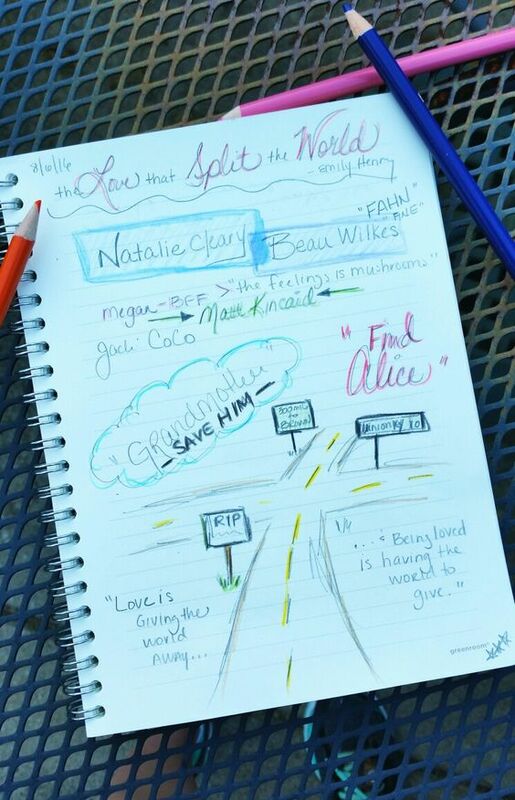 I love the journaling idea. I started to keep a list of the books I read (back when I was reading a lot more). But now I just keep a board on pinterest. Seeing the cover helps me remember if I read it or not and then with just a click, I can read the synopsis over if I forget. That tends to happen. I read a lot of books by the same author and I tend to forget which ones I already read. 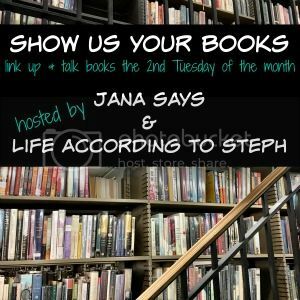 I think I will skip most of those this time around--that's the best reason to do these link ups! It lets us know what was great and what to skip! I would almost be afraid that the first book would be repetitive and annoy me, but it sounds like you liked it! I keep hearing things about your 3rd book, too. Maybe I'll breakdown and read it soon. I've heard mixed reviews on The Love that Split the World. Love me some Friday Night Lights (and anything KY) but sci-fi? Not so much - and confusing endings, definitely not. But, a dark twisted version of 50 First Dates? I like. Adding Before I Go to Sleep!!!! 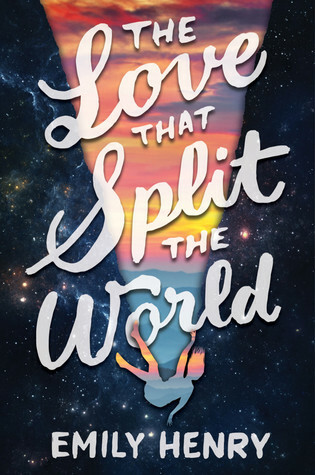 I have mixed feelings on if I want to read the Love that Split the World. I feel like it is on my TBR already but I sort of have it on the back burner to other reads I want to get to. i like your logic with getting the HP book immediately, that makes sense! i still haven't bought it yet, or read it obviously. 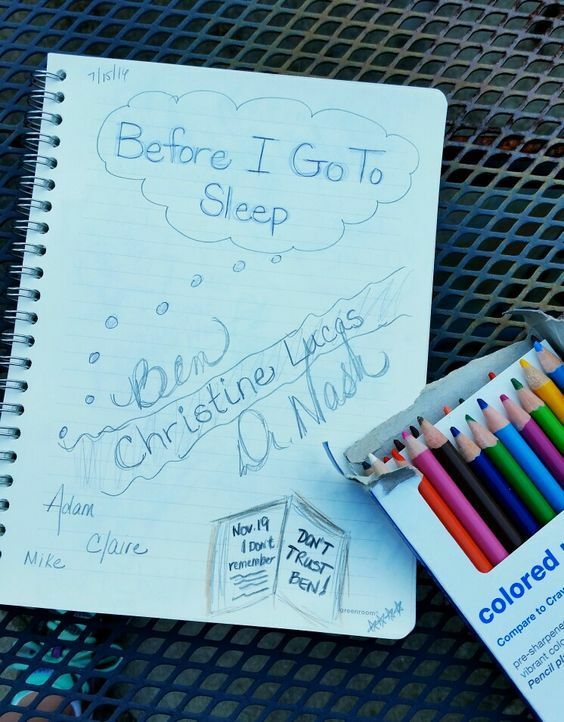 before i go to sleep is on my list and i had no idea it was a movie! i love me some colin firth ;) i love that you have a book journal. i just got one too, but i'm not gonna be all cute and creative or pretty because i'm not as talented as you! but yes to love that split the world - i loved it but was totally put off by the ending. i loved the kentucky references too! i love sci fi and the like so i was just bummed that it was a lazy ending. I remember LOVING Before I go to Sleep; I read it a long time ago and it was sooo suspenseful! I can't remember if I saw the movie but I don't think I did so now I'm going to make my hubby watch it with me! I love the sound of your book journal! I definitely want to read the new Harry Potter book eventually, I'm just not in a rush for some reason- I think I actually want to do a reread of the original books first even though I only read them a couple of years ago. Before I Go To Sleep was so good! I still haven't watched the movie either, but I've been wanting to! I was not a fan of the Love that Split the World. The ending was not good, as you mentioned. And I also never bought into the their great love either. The flip side is that I did think Henry was a good writer (some beautiful passages) and she handled how an adopted child feels well (I am adopted too). 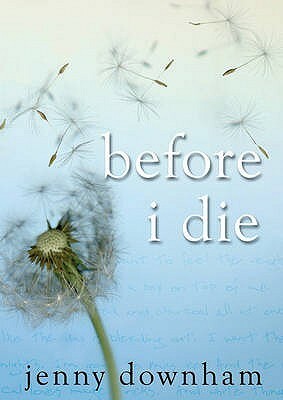 Before I Go to Sleep is on my TBR and I did NOT know there was a movie too ... with Mr. Darcy ... I mean Colin Firth. Hello! Gotta watch it (and read it) now! Haven't read any of these but I'll definitely add Before I Go to Sleep to my to-read list. I'm totally ADD when it comes to journals and new projects. I think I have a couple book journals floating around the house with maybe a handful of books detailed in both. Then I forget about it and move on to the next unfinished project. :) Currently reading The Martian ... finally! Sadly nope, still not reading LOL One day!! I hate when an ending leaves me confused. OMG before I Go to Sleep sounds awesome! I'm requesting that from the library asap. I've been wanting to read Before I Go to Sleep! Glad to hear you liked it! I should totally be more excited about Harry Potter. I don't know why I am not but I am sure I will pick it up sometime! I'm such a Harry Potter fan, I don't know what's up :). 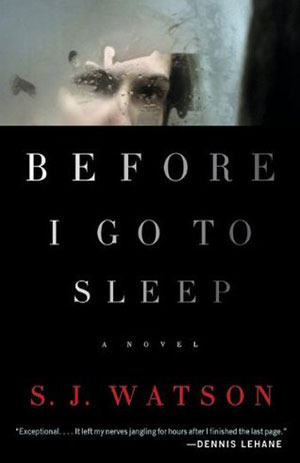 I really liked Before I Go to Sleep, too. Definitely a good thriller. I also watched the movie on Netflix, and I'd say it's worth watching. 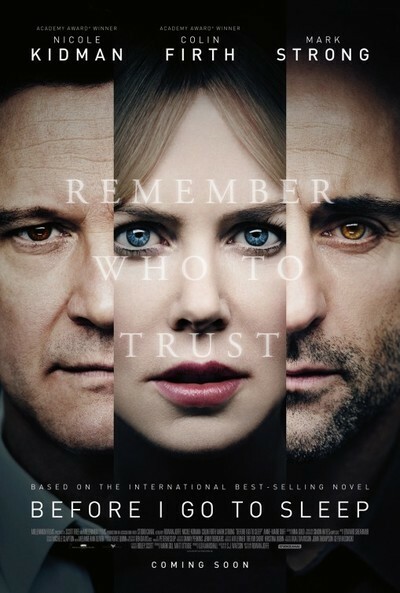 Not sure if I believe Colin Firth as a bad guy but I loved seeing the story play out to see if it was different in my head. 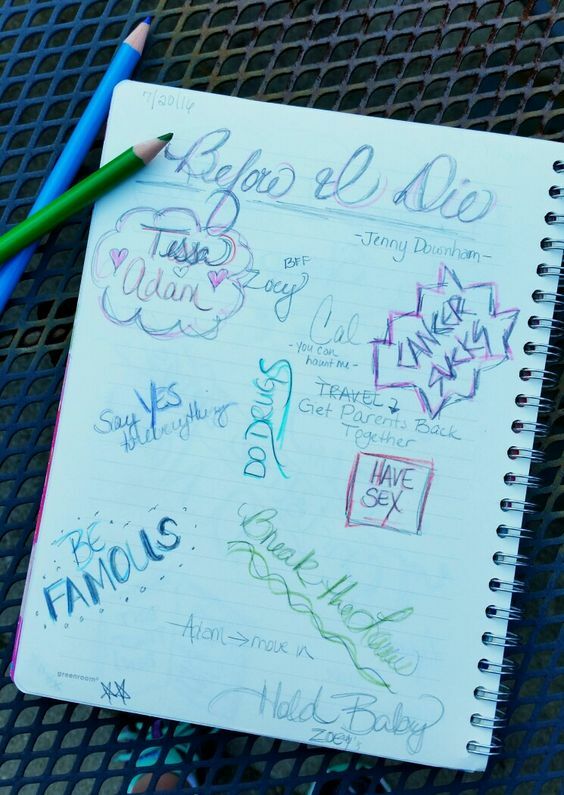 I LOVE your book journals. I read Before I Go To Sleep a few years ago, and it wasn't my favorite book, but I still really want to see the movie! I love Nicole Kidman! I never thought about the opening weekend like that! But I always go opening weekend to see certain Disney movies and I pre-ordered my Cursed Child copy even though I don't plan on reading it at all haha. I haven't actually heard of any of these books but that's why I enjoy posts like this - to find new ones!